We’d love your help. 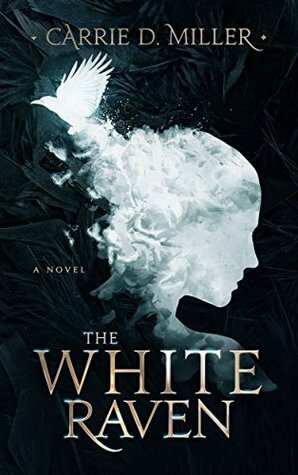 Let us know what’s wrong with this preview of The White Raven by Carrie D. Miller. This is a new cover edition for ASIN B06XK439B4. Does the elusive whit This is a new cover edition for ASIN B06XK439B4. To make matters worse, an unrelenting, twisted evil from Aven's past lurks closely behind her. Sustained by his hatred of the witch, he won't give up until she's paid for what she did to him. To ask other readers questions about The White Raven, please sign up. Aven is living the happiest life she’s ever had, and she’s had twelve others before. She lives with memories from her past lives and unfortunately her deaths too, including the remembrance of her murderer-Morris Stiles. Aven’s been cursed to continue living on Earth no matter how many times she dies. In this life, she’s settled down in Salem and owns a little shop where she does readings and sells magickal items. She has Jo- her very close and supportive friend who accepts her for who she is and has true power herself, Cal- a man who’s just come into the picture and might be just what Aven needs, and the white raven- who seems to follow her wherever she goes, but she cannot see it. Everything seems to be perfect until suddenly something haunts Aven from her past. Will she overcome it? How will she ever break this curse of living over and over again? This book is written well and I thought the character development was perfect. The characters are memorable and I must say, Aven ended up being my favorite character in the book. She’s so strong-minded and doesn’t let anything stop her from using her magick. She has a strong and important message to be who YOU want to be. I loved Maggie – her canine companion, Jo, and Sylvia as well. I cherished all the details, descriptions and imagery that really pull you in and make you feel like you’re living the story. The author managed to add a little bit of everything here–romance, magick, jealousy, friendship, evil, and love. This is the perfect book to read this time of year, especially with all the magick and Halloween elements. I’m hoping there’s going to be a sequel and I’ll definitely be reading it if there is! This well-written and fast-paced story of witchcraft is filled with great characters, awesome magic, humor, romance, and lots of intense emotional action. I really like Aven, the main character in this story. Her friends are more like family and her animal friends are extra special. I'm very happy for the wonderful romance she found with Cal. I'm also saddened about a devastating loss and about all the terrible pain and loss Aven has suffered throughout each of her lives. I believe there is more This well-written and fast-paced story of witchcraft is filled with great characters, awesome magic, humor, romance, and lots of intense emotional action. POSTING ON BEHALF OF Romuald Dzemo from Readers' Favorite (with permission). I enjoy books with bold plots and quirky perspectives and The White Raven by Carrie D. Miller offered more than that. In some strange way, the author had me thinking about Sita, the lead character in Christopher Pike’s Thirst. Aven is living her thirteenth life, and she isn’t sure how many more lives she will have to live. It could have been easier for her to keep on living one life after another, except that her past l POSTING ON BEHALF OF Romuald Dzemo from Readers' Favorite (with permission). I enjoy books with bold plots and quirky perspectives and The White Raven by Carrie D. Miller offered more than that. In some strange way, the author had me thinking about Sita, the lead character in Christopher Pike’s Thirst. Aven is living her thirteenth life, and she isn’t sure how many more lives she will have to live. It could have been easier for her to keep on living one life after another, except that her past lives catch up with her. Shadowed by a white raven, Aven isn’t sure if the raven has the key to her freedom or if she is the cause of the curse. Now she is settled in Salem, owns a shop, and explores the possibility of love. But then a shocking discovery disrupts everything. Can she survive the dark magic this time? The narrative voice is captivating, and it comes across very strongly in the first person narrative. Written in the present tense, the author seems to have the unusual knack for drawing the reader irresistibly into the narrator’s viewpoint. The writing is excellent and it features a lot of insightful descriptions that capture the emotions of the characters in the minutest detail. I love the strong plot, the originality of the story and the great characters. The conflict is masterfully handled and it isn’t hard to love the characters, to feel their pain and frustration. The White Raven is a great story for fans of fantasy and anyone who loves reading about witches and magic. Carrie D. Miller was able to capture my heart throughout the entire story. I received a free copy of this book with the option of leaving an honest review. The White Raven is an amazing story of love, friendship, magic, and the price of magic! Aven is an atypical protagonist and I instantly liked her. She has led several rough lives and has used her magic to harm in self-defense or to mete out justice to those who have harmed her. In other words, Miller created a realistic character whose use of magic rings true to how an average person would react to the challenges Aven I received a free copy of this book with the option of leaving an honest review. Aven is an atypical protagonist and I instantly liked her. She has led several rough lives and has used her magic to harm in self-defense or to mete out justice to those who have harmed her. In other words, Miller created a realistic character whose use of magic rings true to how an average person would react to the challenges Aven faced. In fact, all of the characters in the book were incredibly realistic; from Aven's love interest to the petty, scheming shop owner who was jealous of Aven. The plot and premise are imbued with emotion and magic. I was pulled into the story and found it difficult to put down. I was captivated by the complexity and detail of Aven's history and the magic. Miller either has firsthand knowledge of rituals and charms, or she did extensive research; either way, this knowledge adds another layer of richness and authenticity to an already moving novel. If you enjoy magical novels filled with love, sadness, hope, tragedy, and humor, I recommend you give The White Raven a try. The White Raven is such a wonderful debut novel. It's an excellent escape into fantasy. The characters are whole and lovable. The story continues to evolve throughout while maintaining a pace that is exciting without being too hectic. It's witchy, fun, exciting, and well-considered. It is certainly hard to put down, and I am happy to recommend it. I really enjoyed reading this book - once I started, it was really hard to stop. I loved the characters and how they interact with each other. Cannot wait to read the sequel! Carrie Miller’s debut novel The White Raven is truly a magickal experience and journey. It is rare for a book to bring to me tears, but several times while reading, tears fell. The characters are full of heart, well rounded and feel like you have known them for years. They truly come alive in the book as I accompanied them through the adventures. It was a struggle to set the book down when real life was calling and I was sad when I finished the book wanting to continue the journey a little bit m Carrie Miller’s debut novel The White Raven is truly a magickal experience and journey. It is rare for a book to bring to me tears, but several times while reading, tears fell. The characters are full of heart, well rounded and feel like you have known them for years. They truly come alive in the book as I accompanied them through the adventures. It was a struggle to set the book down when real life was calling and I was sad when I finished the book wanting to continue the journey a little bit more. I hope Carrie continues writing in the world of Aven and letting us readers experience more into her magickal daily life. I absolutely fell in love with the White Raven and I am betting you will too. Where to start? So I've always had a soft spot for books featuring witches, especially if they're in a contemporary setting, all stemming from my love of Cate Tiernan's Sweep series as a teenager. However, there actually isn't a huge selection in this category. Lots feature witches in entirely fictional settings, or are high fantasy, or are set in the past or alternate history, or are YA (not that I don't like it, just sometimes want something with adults) but not a ton in the modern day. Anyway Where to start? So I've always had a soft spot for books featuring witches, especially if they're in a contemporary setting, all stemming from my love of Cate Tiernan's Sweep series as a teenager. However, there actually isn't a huge selection in this category. Lots feature witches in entirely fictional settings, or are high fantasy, or are set in the past or alternate history, or are YA (not that I don't like it, just sometimes want something with adults) but not a ton in the modern day. Anyway, I was browsing Amazon for magic-y books and came across this one. I'll admit, the striking cover caught my attention first. However, the summary sounded intriguing so I took the chance and dove right in. Thank goodness I did! The writing is superb. It's fluid and captivating. I'm very impressed that this is a debut novel! I read over half of the book the first go. The author is also great at creating settings without that info-dump approach too many writers get trapped into. I feel like I can really 'see' and feel the inside of Aven's shop and home. The author's writing style feels similar to Ilona Andrew's or Anne Bishop's for fellow urban-fantasy lovers. The approach to magic feels fresh and the mystery of the white raven is really fascinating. I also like that while there is some romance in the book that it is not the main focus of the novel. It's about Aven and her story and her magic, which I always appreciate, because while relationships are bound to occur that doesn't mean it has to take over a woman's life. The characters in the book are overall well rounded and each have their own story to tell. While the tale is centered around Aven, you come to like and care about many of the supporting characters just as much. I appreciate that there are multiple strong female characters that share bonds and more than pass the Bechdel test. While this novel could stand on it's own, I hope there will be sequels because there is definitely more story that could be told. I can't wait to see where Miller will take this series and will be on the lookout for any other books she releases, because she has already made me an instant fan. I never thought I would like reading a book about witches. Well, that’s the power of reading. You can end up liking something unexpected. The White Raven by Carrie D. Miller is the story of Aven Dovenelle. Finally in her thirteenth life, she has found stability and happiness in the now witchcraft-friendly Salem, Massachusetts, where she has opened her own shop. But something threatens Aven’s stability and happiness by the presence of a dark magic connected to one of her past lives and a elusive w I never thought I would like reading a book about witches. Well, that’s the power of reading. You can end up liking something unexpected. The White Raven by Carrie D. Miller is the story of Aven Dovenelle. Finally in her thirteenth life, she has found stability and happiness in the now witchcraft-friendly Salem, Massachusetts, where she has opened her own shop. 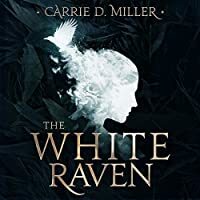 But something threatens Aven’s stability and happiness by the presence of a dark magic connected to one of her past lives and a elusive white raven who has appeared throughout each life. Those elements from Aven’s past continues to haunt her until she finally confronts it in an intriguing display of supernatural power. Carrie D. Miller weaves a lovely tale of fantasy and the violent power of hatred. She has a great flow to her writing, and I’m feeling just shy of “5 stars” because I felt a tad jolted out of that flow with a few scenes towards the end. Basically when she changed from Aven’s POV to those of very minor characters. When reading this book, I found myself transported. The world that Ms. Miller has built her story into brings you into a new world. This book is an amazing mix of all my favorite things, Magic, romance, mystery, and twists! I would say this book is a great read for the adult that longed to go off to a magical school as a child. Or watched three sisters on tv, do magical things. I have read this book 5 times now and each time I find something new that is my favorite part! Very beautifully written When reading this book, I found myself transported. The world that Ms. Miller has built her story into brings you into a new world. This book is an amazing mix of all my favorite things, Magic, romance, mystery, and twists! I would say this book is a great read for the adult that longed to go off to a magical school as a child. Or watched three sisters on tv, do magical things. I have read this book 5 times now and each time I find something new that is my favorite part! Treat yourself to a great escape. Looking forward to her next book and more of Aven! My first time reading something of this genre in first person, and I loved it. I loved the balance of characters, flashbacks, mythical aspects, and reality. So well written, and easy to delve into! Can't wait to read more!! If you are really into Witch stories...get this one. It's also AWESOME! Another hard to put down book. Could not put the book down for very long. Just had to keep reading, and now hoping that there is going to be another book. Great story, wonderful characters! This book was fun and exciting to read. I loved the characters. Makes me wish I could wield a little witchcraft myself. I will definitely look for other books by this author. Before I even begin with my review of The White Raven I must admit to being very excited to read it (little kid at Christmas kind of excited) as this book follows a similar genre to one of my all-time favourite books! As soon as I started to read The White Raven, I couldn’t put it down. It captivated me right from the beginning (as if by magic) and all the way through I couldn’t stop smiling as I went on this amazing journey Carrie D. Miller provided! Firstly, we follow th Before I even begin with my review of The White Raven I must admit to being very excited to read it (little kid at Christmas kind of excited) as this book follows a similar genre to one of my all-time favourite books! As soon as I started to read The White Raven, I couldn’t put it down. It captivated me right from the beginning (as if by magic) and all the way through I couldn’t stop smiling as I went on this amazing journey Carrie D. Miller provided! Firstly, we follow the life of Aven Dovenelle (a real witch) who is cursed to live life after life with all her memories of her previous lives (including her horrific deaths). Straight away Aven’s character is so intriguing, wanting to know more about her curse and her new life in Salem I didn’t have a problem in following her story word for word. In her thirteenth life she seems to have found some peace with her endless curse, having her own shop to sell magical items and true friends by her side, I loved reading about Aven’s journey and truly felt as if I knew her, understood her pain, her frustration, her love and friendships. The prospect of this book turning into a romance genre wasn’t entirely a bad thing (who doesn’t love a good romance) but as it already has fantasy, magic, friendship and tragedy muddled within, it gave this book a perfect mixture to satisfy all readers. The relationships that Aven encounters (Calvin being one) really proves that love can be hard to come by when you are different, but Aven inspired me by proving everyone wrong that a strong independent woman (witch) can have happiness and I was swept up with the romance that blossomed between her and Cal (even if there were a few rocky patches!). One part I thoroughly enjoyed throughout (it is very hard to pick just one!) was the chapters where the White Raven (Ren) had an inner monologue, it was a very unique writing style and quite frankly a brilliant way to tie up the relationship between Aven and the White Raven, showing a softer side to her as well as giving us some insight into how she felt about Aven and the struggle they both must go through! How there relationship whilst somewhat a mystery proved to be something much more powerful and inspiring. It broke up the usual narrative perfectly and really gave me a different side to the story that I was very grateful for! I think that the book was written beautifully and honestly I don’t think my words can do it justice, I do feel as if The White Raven is a perfect read if you wish to escape reality and enter a world of magic, curses and friendships. My only downside would be that it wasn’t longer (but fingers are crossed for a sequel). I will most definitely be looking out for any other books Carrie D. Miller brings out because her writing is truly wonderful! A magical, mysterious and suspenseful tale that takes readers on a journey unlike any other. Aven Dovenelle is a beautiful, witty and spirited witch who has lived thirteen lives and suffered many deaths. Having found her home in modern day Salem, Massachusetts, she lives a contented life. Her best friend, Josephine Riddle (also a witch) and her daughter Sylvia, are always by her side and she is now ready to open a quaint magic shop selling her concoctions and charms. Many of the witches in Salem, A magical, mysterious and suspenseful tale that takes readers on a journey unlike any other. Aven Dovenelle is a beautiful, witty and spirited witch who has lived thirteen lives and suffered many deaths. Having found her home in modern day Salem, Massachusetts, she lives a contented life. Her best friend, Josephine Riddle (also a witch) and her daughter Sylvia, are always by her side and she is now ready to open a quaint magic shop selling her concoctions and charms. Many of the witches in Salem, haven’t fully accepted Aven, but Jo remains true to her. Therefore, Aven has confided in Jo, telling her that she has been cursed to live life over and over again. A white raven has been following her throughout each of her lives and may hold the key to her demise. She meets the charming and handsome plumber named Cal Jacobs. At first he doesn’t believe that Jo is an actual witch, but when the occasion arises, Aven must use her magic, proving to Cal that she is indeed an extremely powerful witch. A series of horrendous events occur and Aven’s magical abilities are fully realized. As time progresses, will Aven have to make the ultimate sacrifice in order to be free? The White Raven is an extraordinary supernatural story filled with twists and turns. It’s like a rollercoaster ride of emotion and action. I was completely caught up from the very first chapter and turned the pages quickly to find out what would happen next. Aven is a fun and fabulous well developed character that readers will love. Her abilities are beyond the natural and kept me totally enthralled. Modern day witchcraft is fully revealed, and oh so interesting. Author, Carrie D. Miller must either know the craft well, or she did a thorough research into this intriguing subject. It is rich with detail – without going overboard – and gives readers full insight and revelation. The mounting suspense is unbelievably intense and full of intrigue and fascination. This gripping and captivating novel has imagery that is visually vivid, making the descriptive writing phenomenal and unique. I felt like I was transported to the various scenes and places in the story while watching on as the tale unfolded. It provides lovely, sensory details like the smells and objects in Aven’s eccentric little magic shop. In The White Raven, the world building is full and very impressive, especially for a first time novelist. The White Raven is an emotionally intensive tale, bringing up feelings of anticipation and anger, as it often brought me to tears, as well as, welcomed laughter. It is a full on fantasy journey taking readers to new heights in their pursuit of a thrilling escape. With beautiful, fluid writing, Carrie D. Miller has woven together an excellent story of magic and the supernatural. The White Raven has engaging characters and a fully laid out storyline and completed plot. The White Raven is one of the best fiction books that I have read on the subject of magic in a long time. It is fresh and original with a clear concise voice, told in the first person, a truly unprecedented debut novel. The White Raven gave me literal chills. Not just once or twice, either. Several times. How many more lives must Aven live through? She's on lucky number thirteen now. So lucky, in fact, that she settled in modern-day Salem, touting witchcraft freely. A fitting location for the mysteries of Aven's past lives to haunt her. And everything was off to a great start, too. I could honestly go on about this plot for days, it was that good. The thematic continuity was crafted so well. Not only did the au The White Raven gave me literal chills. Not just once or twice, either. Several times. I could honestly go on about this plot for days, it was that good. The thematic continuity was crafted so well. Not only did the author tackle good versus evil in an excellent way, they tried their hand at karma, too. The subject of karma comes up several times throughout the novel. The way it's foreshadowed is brilliant. Key events and characters are placed at a point that the reader keeps them in the back of their mind. When the reveal happens, the message is pretty powerful. Witchcraft has so many different renditions in the literary world. I loved the simplicity of magic in this novel. While it's used often, it never feels like the characters are overpowered. It serves important purpose to the plot, so spells aren't flashy or showy. The author took their time to make sure they did things right by modern witches, and it shows. The setting gave things a very traditional witchcraft aesthetic. However, modern Wicca makes a giant push for territory. The aesthetic really makes a difference in the tone of the novel. The way it's written is almost a spell in and of itself. It draws the reader in so far that they lose sight of their own surroundings. Characters came crafted with an expert hand. They had incredible depth. The cast also featured a number of women. The author turned the tables on many common tropes. The women were the stars of the novel, and I loved it. They were the ones in control. This time, it was a guy's turn to be there as the love interest. I enjoyed the progression and the construction of the romantic subplot, something I don't say too often. And the ending. Oh, the ending. It was so deliciously evil. I hate it and I love it so much. The most brilliant way to guarantee readership for follow-ups, if there are any. I feel guilty. Why? I started reading The White Raven yesterday morning and finished it this evening. I admit I didn't do much else with my time and read every single word carefully but it is a reasonably long book and it would have taken Carrie Miller a really long time to write such an amazing novel and I greedily ate it all up in one weekend. Oh well, I will have to forgive myself for that. Speaking of forgiveness, the author brings the reader so many opportunities to experience essential aspe I feel guilty. Why? I started reading The White Raven yesterday morning and finished it this evening. I admit I didn't do much else with my time and read every single word carefully but it is a reasonably long book and it would have taken Carrie Miller a really long time to write such an amazing novel and I greedily ate it all up in one weekend. Oh well, I will have to forgive myself for that. Speaking of forgiveness, the author brings the reader so many opportunities to experience essential aspects of human traits that make them loveable, horrific, kind and cruel, all wrapped up in an incredibly exciting and magick filled story that my emotions were turned and flipped as often as were the pages of this book, finding numerous ways to forgive as the characters did so themselves. The plot is astounding; the characters are deep and definitely not all human but possess qualities that reflect the best and worst of what we know of our fellow beings, whatever form they may take. This is clearly a work of love, one that is born from an understanding of the power of relationship, of both personal and historical trauma and the immense anger that can result from experiencing ongoing trauma. It is a book that makes one proud to be a woman, reminds one of how many ways in which/witch women are turned against themselves and one another and sings to the bond between mother and daughter, nature and witch, goddess and devoted follower. Carrie Miller describes what she wants you to see beautifully and powerfully. From the smallest light to the grandeur of the forest, from the quietest hint of joy to the resounding wails of grief, from the orderly nature of things as they should be to the great destruction of that same order, all are brought to life through her skillful use of language and choice of words. And did I mention magick? So much magick and so much adventure!!!! I moved about, called out at times in reaction to what was going on in the truly wonderful/awesome story of Aven and friends (and enemies) and was sorry to see the book come to an end. I will let go of my guilt now as it was my great pleasure to spend these days reading The White Raven. This was a very satisfying story to read. It had been sitting on my kindle for a while, and when I finally got to it, I couldn't put it down because it has all the ingredients for an enjoyable ride: magic, adventure, romance and friendship, all wrapped up into an epic story. The novel has huge potential for a sequel, and I'd gladly encourage it because Aven is a kickass heroine with plenty of stories to tell. There are so many wonderful reviews of this book and that's exactly how it should be. I'll keep my review short-but-sweet. This was a wonderful book and the storyline kept surprising me in terms of originality. I'm a major fan of superbly written witch-themed novels and "The White Raven" definitely rises to the top! Now I'm just crossing my fingers and toes that Carrie D. Miller might write a sequel or another witch-themed novel!!! All in all, a fantastic read. I was addicted to this book instantly and refused to put it down. The story is beautiful. I absolutely adore Aven and Jo, their friendship warms my heart. Is it possible with the epilogue ending that a sequel could happen? Definitely in my top 3 books I've read this year!! Such a great book.. now one of my all time favorites. It is the story of a witch that is cursed to reincarnate every time she dies. From 12th century to the present she has lived 12 harrowing lives. The story is mostly of her current life, with love, happiness, diabolical acts, revenge and an ending that is heart warming, utter devastation, and a plot twist I didn't even expect!! Interesting read, the story was sweet and touching. One that I'll read again in the future just to see what I've missed in the first reading. I enjoyed the fantasy of it and the reality of the characters within the bonds of friendship. What an emotional roller coaster! I laughed, I cried, I got angry and I cheered! I thought it was a good mix of action, emotional bonding between characters, vivid imagery and good character development. I can't wait for the sequel! Entertaining with solid, believable characters. I read this book in one sitting. The story draws you in. The characters are interesting and the magic is out of this world!